In Havana we were taking photos of murals when we noticed a queue of motorcyclists, just…waiting. Then a bus turned up. 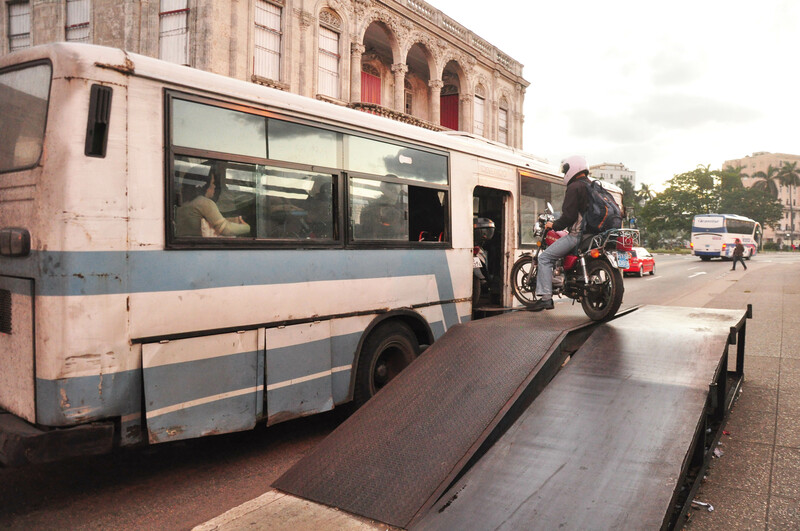 And they all loaded themselves and their bikes…on the bus.